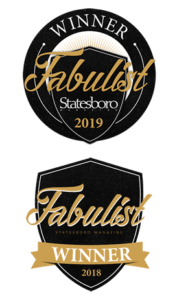 Local publication, Statesboro Magazine, recently published a special section called Women in Business. This section highlights local women business leaders who are making a positive impact on our community, and excelling in business. We are so proud that one of our own, Attorney Martha Hall, was featured in the section! Martha’s primary focus is Family Law and Criminal Law. If you’ve ever seen Martha in action, you can tell that she is a strong advocate for children, especially in the instance of divorce. Her constant quest for fairness and justice is just one of the many qualities that make her such a valuable asset to so many. Congratulations, Martha! Your compassion, dedication and knowledge inspire us every day! Click here to read the Jan/Feb 2016 Issue of Statesboro Magazine.